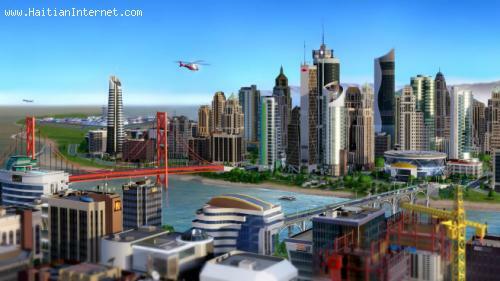 SimCity is an open-ended city-building computer and console video game series in which the player is given the task of founding and developing a city, while maintaining the happiness of the citizens and keeping a stable budget. The player (acting as mayor) is given a blank map to start with, and must expand their city with the budget they have. As the city matures, the player may get to place government and other special buildings (such as a mayor's house or courthouse), depending on how large their city is. The player must supply services to their citizens. These include health, education, safety, parks and leisure. These come in the form of different buildings, where each building covers a circular "range" of service. Inadequate funding of these services can lead to strikes. TASK: Build a new Haiti Capital City, where would you build it?